I really hope you have access to a farmers’ market. If you do, I really hope you take advantage of it. Eating ‘local’ has become remarkably trendy. 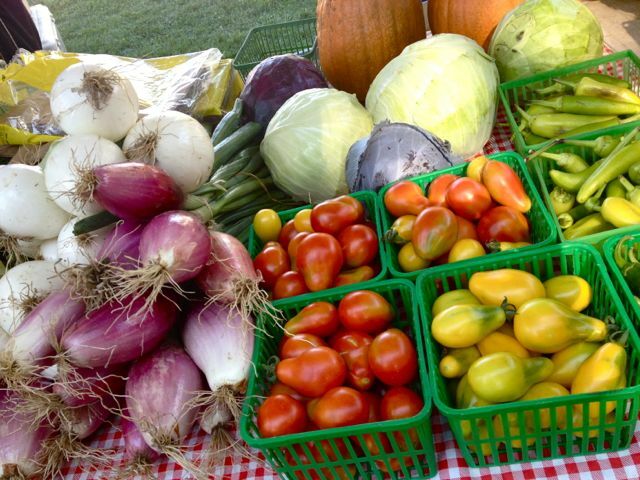 The local food movement is not just a focus of hardline environmentalists either. 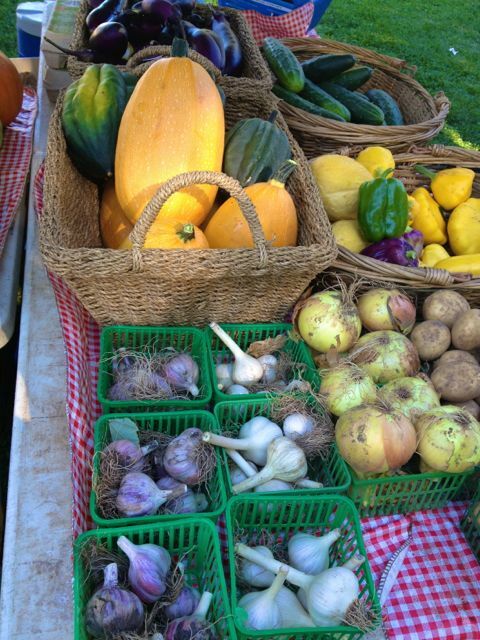 Making choices to support our local growers and communities has become popular. Yay! I take trips to various farmers markets throughout the summer and fall. We’ve got a new one within walking distance that I’ve fallen head over heels for. Where else can you get sweet and tangy thai-basil-lime coconut based ‘ice cream’ than an artisan’s market booth? If you’re looking for another excuse to do some of your shopping at a market, consider the environmental impact. 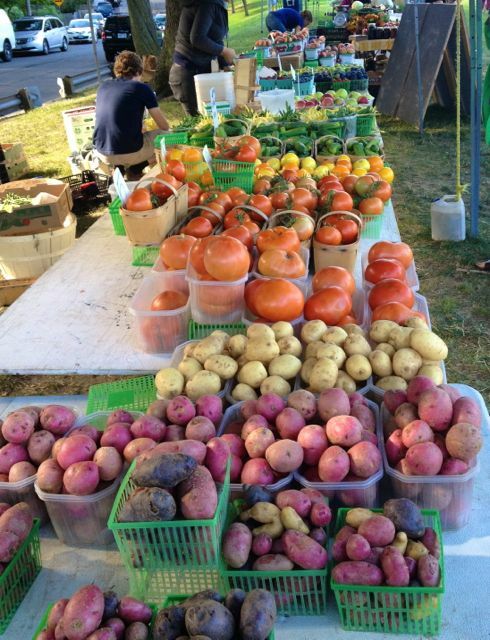 Buying from farmers’ markets pushes us to eat locally and seasonally. Throughout our harvest season, choosing locally produced whole foods can make a significant impact on energy consumption in terms of transportation and processing. From a nutrition standpoint, the less a food travels from farm to table, the more its nutrients are preserved. If you’re still not convinced and/or don’t give a hoot about any of the above, I promise you this – the food tastes bloody awesome. 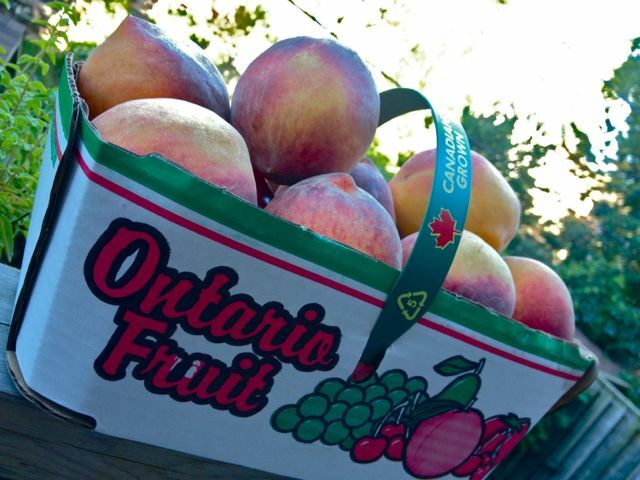 For this week’s recipe, I picked up some Niagara peaches, Peterborough area goat’s cheese and Sunderland baby greens. With a few simple high quality ingredients, this killer salad came together quickly and easily. 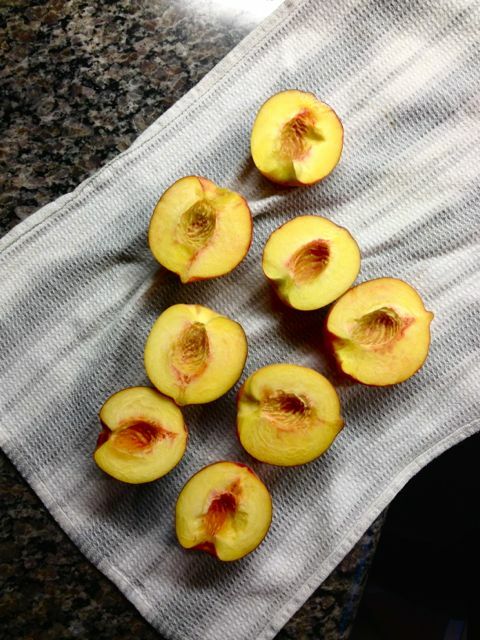 For grilling stone fruit (peaches, nectarines, plums) you want the fruit to be slightly firm. If it’s too soft and ripe, the finished product might get a touch too soft. Any toasted nut will work for this recipe. 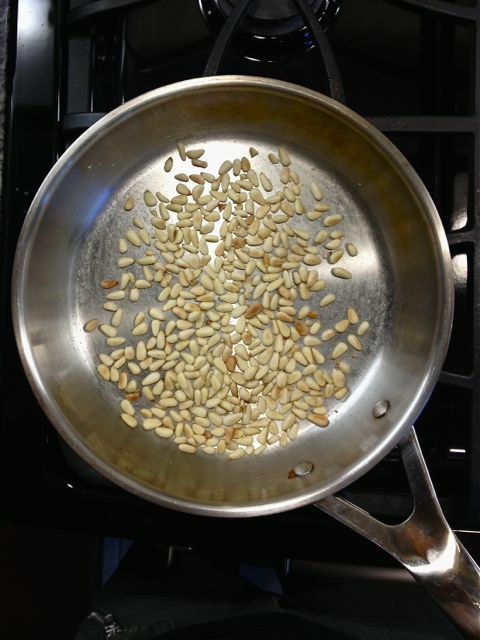 I love the buttery texture and slightly sweet flavour of pine nuts. They’re expensive, but you only need about 1/4 cup for 4 servings. As always, ensure your grill is well oiled. I even brushed a little extra on the peaches themselves to be sure they are stick-free. Perfect grill marks give me an incredible sense of accomplishment and pride. Whatever. I’m weird. One of my essential kitchen ‘gadgets’: the salad spinner. 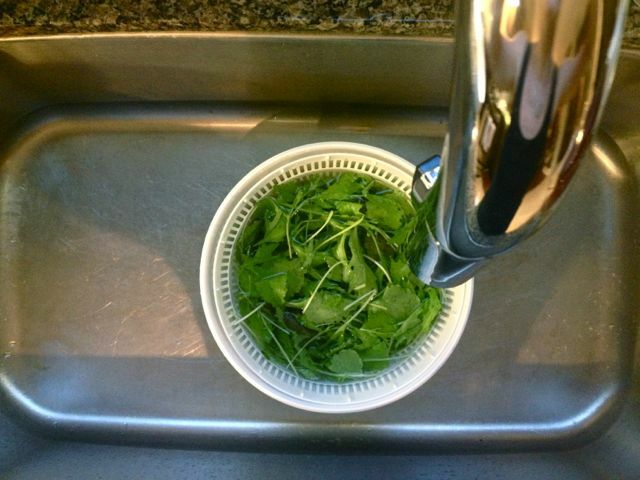 I can soak, wash and dry delicate greens easily without bruising them. 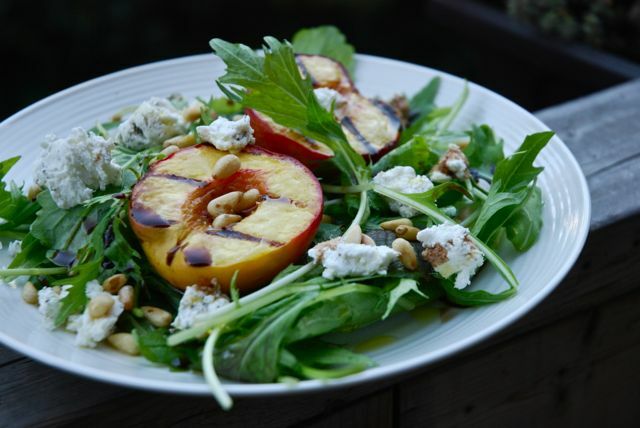 Combine greens, grilled peaches, goat cheese and pine nuts. Drizzle with some good quality extra virgin olive oil and balsamic vinegar. Serve to yourself or others and prepare for a standing ovation. Don't be afraid to replace any or all of these ingredient with whatever is fresh at your farmers' market. Keep it simple and use the best ingredients you can find and you can't fail. 1. Pre-heat grill to medium high heat. 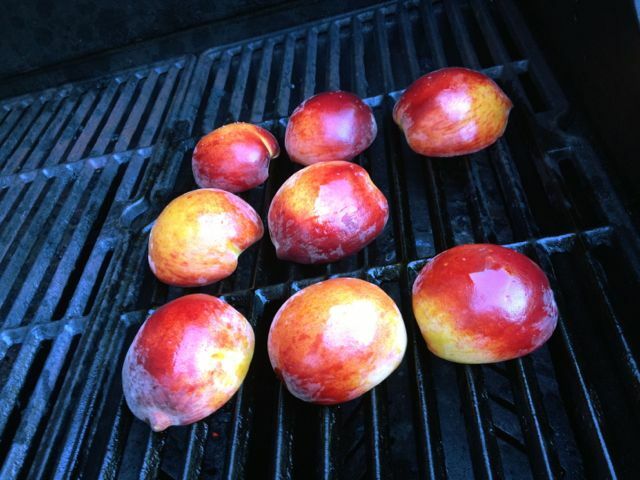 Grill peach halves, starting flesh side down over direct heat for 2 minutes. 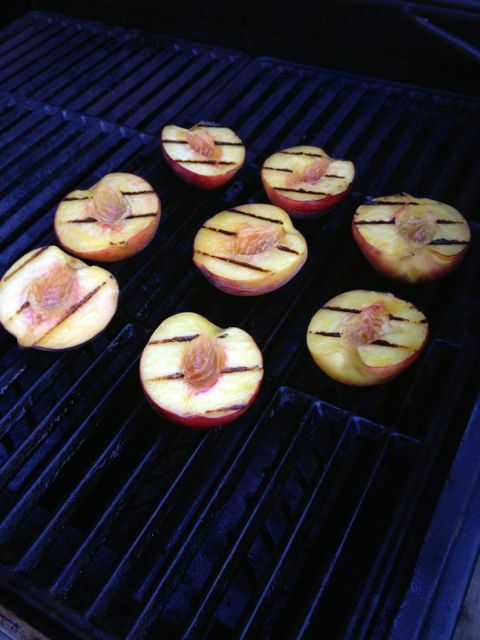 Flip peaches, remove from direct heat, lower grill to medium. Close lid and continue to cook for 3-5 minutes until peaches are soft enough that they give slightly when squeezed with tongs. Remove from heat. 2. This salad can be served family style (it's beautiful!) or on 4 individual salad plates. Layer greens, peaches, cheese and nuts and the drizzle with oil and vinegar. Use a pinch of fine sea salt and a few grinds of few black pepper to season. I could never pass up a trip to the farmer’s market! It makes my weekends. 🙂 LOVING this salad! Fruit in salad is the best.